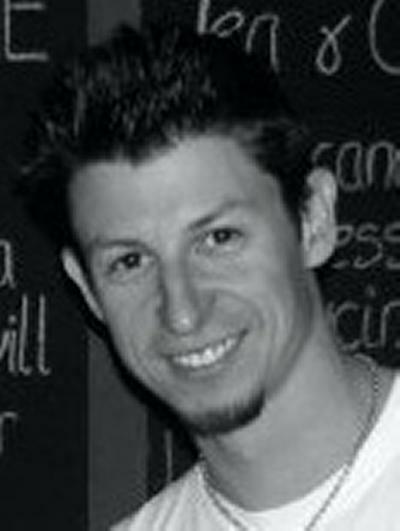 Dr Scott J I Walker is Associate Professor within Engineering and Physical Sciences at the University of Southampton. Dr Scott Walker is currently an Associate Professor in the Astronautics Research Group at the University of Southampton. In addition to Dr Walker's academic career path outlined above, he has also spent time working for AugustaWestlands and Qinetiq, along with performing consultancy work for Surrey Satellites Ltd and Astrium UK. I have performed both experimental testing and theoretical modelling in each of these research areas. Examples of this work can be seen in the figures below. 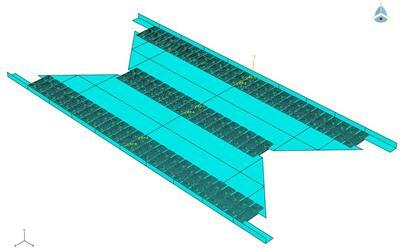 Figures 1 and 2 display experimental static testing and the complimentary simulation work that was performed on a new type of deployable structure for Astrium UK. Figure 3 shows a multifunctional power structure being subjected to a vibration environment to ensure the components of the panel will survive the launch loads. Figure 4 demonstrates a satellite application of a variable or morphing area device. 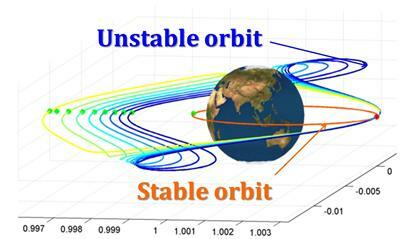 In this context it can be used to stabilise an otherwise unstable orbit around the Earth. Work in this field ultimately improves the capabilities of future satellites and even makes missions that were previously impossible, possible (see ROV-E below). Also, now that our society is becoming increasingly dependent on our space based resources, we must take steps to ensure the protection of both these assets and the Earth. Projects like 'Stardust' will help us to achieve these goals. Walker, S. J. I., & Aglietti, G. S. (2006). Experimental investigation of tape springs folded in three dimensions. AIAA Journal, 44(1), 151-159. Walker, S. J. I., & Aglietti, G. (2004). Study of the dynamics of three dimensional tape spring folds. AIAA Journal, 42(4), 850-856. Aglietti, G. S., Redi, S., Tatnall, A., Markvart, T., & Walker, S. J. I. (2010). Aerostat for electrical power generation. In R. D. Rugescu (Ed. ), Solar Energy (pp. 399-412). Rijenka, Croatia: INTECH. Ortiz Gómez, N., J.I. Walker, S., Jankovic, M., Romero Martín, J. M., Kirchner, F., & Vasile, M. (2016). Control analysis for a contactless de-tumbling method based on eddy currents: problem definition and approximate proposed solutions. Paper presented at AIAA Scitech Forum and Exposition, United States. Lidtke, A. A., Rumpf, C., Tatnall, A., Lewis, H. G., Walker, S. J., Taylor, M., ... Bantock, J. R. B. (2015). Enhancing spaceflight safety with UOS3 cubesat. Paper presented at 1st Symposium on Space Educational Activities, Italy. Soldini, S., Colombo, C., & Walker, S. J. I. (2015). Solar radiation pressure end-of-life disposal for Libration-point orbits in the elliptic restricted three-body problem. Paper presented at AAS-AIAA Space Flight Mechanics Meeting, United States. Soldini, S., Colombo, C., & Walker, S. J. I. (2014). A feasibility study of solar radiation pressure feedback control strategy for unstable periodic orbits in the restricted three-body problem. Paper presented at 65th International Astronautical Congress, Canada. Ortiz Gómez, N., & J.I. Walker, S. (2014). Eddy currents applied to detumbling of space debris: analysis and validation of approximate proposed methods. Paper presented at International Astronautical Congress, Canada. Soldini, S., Colombo, C., Walker, S. J. I., & Landgraf, M. (2014). Libration-Point Orbit missions disposal at the end-of-life through solar radiation pressure. Paper presented at 2nd International Academy of Astronautics Conference on Dynamics and Control of Space Systems (DYCOSS), Italy. Soldini, S., Colombo, C., & Walker, S. J. I. (2013). Adaptive structures for spacecraft orbit control. Paper presented at 64th International Astronautical Congress, China. Sairajan, K. K., Aglietti, G. S., & Walker, S. J. I. (2013). Correlation of finite element model of a Piezoelectric system. Paper presented at International Conference on Advances in Engineering and Technology, India. Buysschaert, F., Newman, S. J., Walker, S. J. I., Antoine, H., & Hendrick, P. (2013). Ljungström turbine for aeronautical applications. Paper presented at 5th European Conference for Aero-Space Sciences, Germany. Foster, J. A., Aglietti, G. S., & Walker, S. J. I. (2013). ROV-E activities at the University of Southampton. Paper presented at 64th International Astronautical Congress, China. Walker, S. J. I., & Aglietti, G. S. (2013). The challenges and progress in simulating large, tape spring based space deployable structures. Paper presented at 4th International Conference on Computational Methods in Structural Dynamics and Earthquake Engineering, Greece. Walker, S. J. I., & Aglietti, G. S. (2011). A study into complex, tape spring based, space deployable structures. 3rd International Conference on Computational Methods in Structural Dynamics and Earthquake Engineering, Greece. Cook, A. C., Walker, S. J. I., & Dobbs, H. (2011). Experimental research on the use of tape springs on inflatable structures. Paper presented at 28th International Symposium on Space Technology and Science, Japan. Walker, S. J. I., Aglietti, G. S., Cook, A., & McDonald, A. D. (2011). Modelling built up, tape spring based, space deployable structures. Paper presented at 62nd International Astronautical Congress, South Africa. Walker, S. J. I., Santos, S., McDonald, A. D., & Aglietti, G. S. (2010). Development of morphing deployables for space applications. Paper presented at 61st International Astronautical Congress, Czech Republic. Aglietti, G. S., Walker, S. J. I., & Kiley, A. (2010). On the use of SEREP for satellite FEM validation. Paper presented at 4th International Conference on Advanced Computational Engineering and Experimenting (ACEX2010), France. Aglietti, G., Redi, S., Walker, S. J. I., & Kiley, A. (2010). Robustness of the orthogonality checks on a satellite FEM using a SEREP test analysis model. Paper presented at ISMA/USD 2010: 24th International Conference on Noise and Vibration Engineering & 3rd International Conference on Uncertainty in Structural Dynamics, Belgium. McDonald, A. D., & Walker, S. J. I. (2010). Use of multiple SMA wires for morphing of inflatable wings. In Proceedings of the ASME 2010 Conference on Smart Materials, Adaptive Structures and Intelligent Systems New York, US: American Society Of Mechanical Engineers (ASME). Walker, S. J. I., McDonald, A. D., Aglietti, G. S., & Niki, T. (2009). Development of inflatable structures at the University of Southampton. Paper presented at 60th International Astronautical Congress, . Walker, S. J. I., Aglietti, G. S., & Cunningham, P. R. (2006). A study of joint damping in metal plates. Paper presented at 57th International Astronautical Congress, Valencia, Spain. Walker, S. J. I., Aglietti, G. S., & Cunningham, P. R. (2006). Determining the damping factors for jointed metal plates. In Proceedings of the 9th International Conference on Recent Advances in Structural Dynamics Southampton, UK: University of Southampton, Institute of Sound and Vibration Research. Walker, S. J. I., & Aglietti, G. S. (2004). An investigation of tape spring fold curvature. In Proceedings of the 6th International Conference on Dynamics and Control of Systems and Structures in Space (pp. 401-410). Cranfield, UK: Cranfield University Press. Walker, S. J. I., & Aglietti, G. S. (2003). A study into the dynamics of three dimensional tape spring folds. In Proceedings of the 44th AIAA/ASMA/ASCE/AHS Structures, Structural Dynamics and Materials Conference (pp. 886-896). Virginia, USA: American Institute of Aeronautics and Astronautics. Walker, S. J. I., & Aglietti, G. S. (2002). An application of tape springs in small satellite area deployment devices. In Proceedings of the 5th International Conference on Dynamics and Control of Systems and Structures in Space (pp. 131-137). Cranfield University Press. Walker, S. J. I., & Aglietti, G. S. (2002). Experimental testing of tape springs folded in three dimensions. Paper presented at 34th COSPAR Scientific Assembly, The Second World Space Congress, Houston, TX, USA, 10-19 Oct 2002, . Walker, S. J. I., & Aglietti, G. S. (2002). 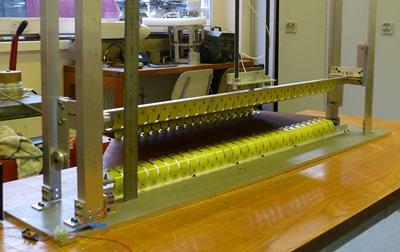 Test analysis of three dimensional folds in tape springs for space applications. 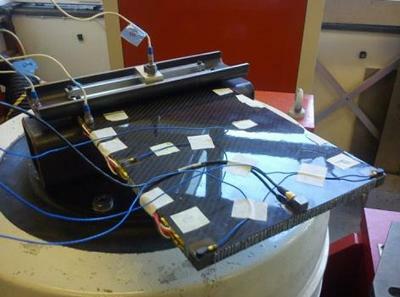 Paper presented at Proceedings of the European Conference on Spacecraft Structures, Materials and Mechanical Testing, .